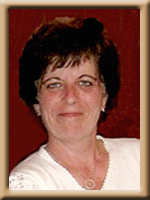 GALLAGHER-FREEMAN; Paula L., 45, of Milton, Queens County passed away suddenly in Queens General Hospital, Liverpool, on Sunday, October 3rd, 2010. Born in Liverpool, she was a daughter of Janet (Johnson) MacNutt of Milton and the late Merrill MacNutt. Paula provided warm, friendly customer service at the Corner Kwik-way in Milton. She had a love of animals and enjoyed gardening, swimming, camping, beachcombing and spending time with her family and friends. She also enjoyed spending time with her friends at “Alley Nine” for Karaoke. Surviving besides her mother are her daughter Megan of Milton; her sons Alex and Liam of Milton. Her sister Susan of Montreal and her companion Brian Muise of Milton. Our prayers are with you at this sad time. **LIVE, LAUGH & LOVE**That is just what Paula did. She will be sadly missed!! Never Forgotten. Brian, Liam, Alex, Megan, Janet, Family & Friends, Hang in there. We are so sorry for your loss. Our hearts and prayers are with you and your family. We are so sorryabout Paula..She surely will be miss..We talked Saturday night and we said we’ll talk later when I left…and we will Paula…Love you girl…. Janet & Family So sorry to hear of your loss.Needless to say Milton Corner Store will never be the same.She always had a smile on her face,&something silly to say,sure will miss her. Janet so sorrow to here about paula our prayers and thoughts are with you . My thoughts and prayers are with you all at this very difficult time.Paula and I went to school together and she was a very happy go lucky person.I will miss seeing her big smile at the corner store.So very young to be taken and she will never be forgotten by all who knew her. We are so sorry for your loss. You are in our thoughts and prayers in your time of need. Janet and Family. So sorry for your loss. Paula could put a smile on anyone face. She will be missed. Hugs to you all. paula was and allways will be my best friend, i will miss her so much our little talks about everything.i would walk in the store(she would say i am so glad to see u , i missed you , but i am glad ur here now , lets go have a smoke and we did then we would talk and she would get buisey and i would say call me later , love you, talk at you later. So sorry for your loss. Paula ws wonderful friend to all that known her and will truely be miss by all. Our prayer and thoughts are with the family . Janet,Megan,alex and Liam- Sorry sorry for your lost.she is going to be sadly missed at the corner store.my thoughts and prayers are with you all at this difficult time.She is flying high now with her angels .R.I.P Paula. What a shock this was! I first met Paula 21 years ago when our oldest children were in playgroup in Milton. She was a dedicated Mom. She was happy to help in any way – volunteering with playgroup, with the Milton Nursery School, with the School Breakfast Program at Milton School, and beyond that. I was so happy when she started working at the “Corner Store” – it was always great to see her bright smile and catch up on the news. My heart aches for Paula’s family…you are all in my thoughts and prayers. We are very sorry to hear of your loss. She was a great person. Megan, So sorry to hear of your loss. Please know that my thoughts are with you and your family at this time. Dear Janet, Megan, Alex, Liam, Brian & Susan. We are so sorry to hear for your loss. Are thoughts and prayers are with you all at this time. To Janet and family. I am so deeply sorry for your loss. I haven’t seen Paula in a long time but I do remember her being a wonderful caring person. She will be deeply missed by those who had the pleasure of knowing her. My prayers and thoughts are with you and your family at this difficult time. To Paula’s family, we just wanted to let you all know that Paula gave us many laughs from our times at Stenpro to our afternoon ice cream on our way to Hibernia.We were always sure that if Paula was working we would go on our way with a smile on our faces and that is a gift to cherish that she has given to us all.Thanks for being you.We will miss you. Our Deepest Sympathy to the family and Friend’s of Paula .She was a very out spoken women and allway’s said what was on her mind. I guess this is what i liked most about her . She allways had a smile on her face even if she wuz having a rough day. R.I.P Paula you will be forever missed home at last you are. Janet we are so sorry to hear of Paula’s passing at such a young age. We are so very sorry for your loss.I have known Paula all of her life,my heart breaks for you.Paula was one of kinda,she liked to make people laugh and she enjoyed life.I take comfort in knowing she is with her dad now,i know she missed him so very much.I will always remember her with fond memories,Our thoughts and prayers are with you all.R.I.P. Paula. We are so saddened to hear about Paula. She always had a smile on her face! We have such great memories of the old neighbourhood and working in the store with Paula. She will be missed. Our thoughts and prayers are with you at this time. I cannot imagine what you are going through right now! Paula was a very caring person and with her laugh could make you smile no matter what kind of day you were having…I will miss our chats at the store on our way to or from the lake…hold onto her memories, keep them close at heart…She is FLYING HIGH WITH THE ANGELS, watching down over all of you!!! We find it hard to beleive Paula is gone , we’re gonna miss our talks we had when she was working. Our prayers and thoughts are with you all. If ever you need anything don’t hesitate to call us . So sorry to hear about your loss. She will be missed. Our deepest sympathy and thoughts are with you. Hold on to the wonderful happy memories and never let them go. She will always have a special place in your hearts…. forever. Alex & Megan, Words cannot express the deep sorrow Brendan, Alicia, & i feel at this time.Maggie my heart goes out to you. Hold on to your memories of what a great Mom she was. Alex you are like a 2nd. son to me & i feel really helpless as to what to do for you. Just know that i am here if you need a shoulder to lean on.Your Mother can never be replaced, but if you need a “stand in” i’m here. Brendan sends hugs to you both & wishes he could be here.You will all meet up again at another time. God willing. Janet & Liam,memories are all you have left & knowing what a “great” person Paula was hopefully will give you some comfort. Paula was always a good friend & here smile “lit up ” the world. Dear Janet and family. What is there to say. This is a shock like no other. Even when she was little and the few times I kept her she had that magic smile and a personality of what can I do next or say. She was always full of life. Many times when I would go to the corner store we would talk of happy times and how our lives changed as we got older. She would get me an ice cream and always said Merla how many of these have you dipped for me when your father had the store. Our hearts and prayers are with you. Please if there is anything I can do please let me know. Love always Merla. Prayers and best wishes for the family.Our thoughts are with you. We would just like to send our condolences to all the family,what a great loss it is for everyone.Our thoughts and prayers are with you all as you go through this very rough time. Sorry to here of your loss. Our thoughts are with you at this time. Liam your in my thoughts, your mom was a special person who always looked out for you. Janet, Susan, Brian and families, may the memories you hold in your heart, help ease some of the pain. Lost for words, but filled with thoughts and memories of a wonderful childhood with Paula in it. Far too soon to be taken. RIP Paula. The Dear Lord has taken another Angel home . Just to let you know we are thinking of you and will pray for you. I’m sorry for the loss.My thoughts are with the entire family, Alex Liam Megan and Janet. So sorry to hear about Paula. She was a delightful person, always concerned about everyone. She will be missed by all . Hang on to the special memories. I’ve been thinking of you lately Paula and so sorry to hear that you are gone! We are so sorry to hear about the loss off Paula . Paula & I go back along way . We use to hung out together. She was such a nice & throughtful person.. She will sadly missed at the corner store , her laughter & her smiles . We will miss you alot Paula , This should have never happened to someone so nice. Our throughs goes out to the family ,Friends & even Brain Muise. If there is anything that I can do please feel free to let me know . Paula honey you will be missed but not forgotten . My thoughts and prayers are with Paula’s family and friends during this difficult time. I am deeply sorry for you loss. We are very sorry to hear of Paulas sudden passing. Our thoughts and prayers are with you all. Sorry to hear of your loss…my thoughts and prayers are with you at this time of need. Janet, Susan, Liam, Alex, Megan and Brian, so sorry for your loss. Paula will be missed by many people. Always remember her to be laughing and joking around. Alot like Chris in that way. Our thoughts are with you all at this difficult time hold on to those great memories. Our sincere and heartfelt sympathy to all of you at this most sad and difficult time. You are in our thoughts and prayers. Our Thoughts And Prayers Are With You In Your Time Sorrow. Whenever You Saw Paula She Was Always In Good Spirits,Always Laughing Over Something And Always Telling Ya Something To Make You Laugh Too.She Was A Wonderful Lady And She Will Be Missed Dearly.Our Prayers Go Out To Her Family And Friends .Rest In Peace Paula And I Know You Are Up In Heaven Smiling Down On Everyone Right Now. We are so very sorry to hear of your sudden loss. Our Thoughts and prayers are with you all at this most difficult time. May God Bless you all. I remember Paula from High school, and am very sorry to hear of her passing. Paula was a beautiful woman whose smile always brightened up my day … she will be sadly missed! My condolences to Alex, Megan, Liam and the rest of Paula’s family. Words are never enough but I hope you can all take some comfort in knowing that so many have you in their thoughts and prayers. It’s hard to put into words my feelings at this time. Paula was a wonderful person. We are thinking of you all during this very difficult time. Support one another, talk and hug alot. A community was saddened by the loss of a lovely lady. She was a great friend, funny and always interested in what you were doing in your life. We spoke often about us and our children. She had a kind word to say about everyone. You will be greatly missed, Paula. There will be a huge gap in her family circle and we are thinking of all of you. Janet, Alex , Meghan and Liam my thoughts are with you all. Went to school with Paula, Graduated with Paula and hung around with Paula and worked with Paula worked with you Janet worked with you Alex and you are all great wonderful people to have to go through this. Paula cried when she heard I was diagnosed with MS and here she is gone before me. Life is just not fair Paula going on about how beautiful Keisha was and her laugh and smile and all the trouble we used to get into thoses are memories I will cherish forever. Soon we will meet again my friend. You will never be alone. Love you Paula. Brian, our thoughts and prayers are with you. Take care. our thoughts and prayers are with the family at this time of grief. paula was a great person. we will miss her smiling face and her friendliness at the store. We are so sorry to hear about Paula. She was one of a kind when we going up. We had fun and some good old times. Please know that we are thinking about all of you at this difficult time. To Janet and Susan: Please accept my condolences on the loss of Paula. Paula was such a wonderful and funny lady who would always light up the room that she was in. The community lost a mark and now will miss the smiles that was given by her when entering the Kwik-way. To Paula’s children: Please accept my condolence on the loss of your mom. Cherrish all the memories of your mom in your hearts. Even though she may not be here for a shoulder to lean on, seek comfort on the wonderful memories and she’ll be with you at all times. To Brian: Please accept my condolence on your loss, when I would see you two together, all I seen was smiles. Cherrish those wonderful memories and this will help in times of emptyness. May you all trust in the Lord and He will guide you through this difficult time. My thoughts and prayers are with you. dear Janet and family im so sorry to here about Paula she was a wonderful person .she will be missed by all who knew her .lots of love and prayers are being sent to you all .God bless in the days to fallow . We are so sorry to hear of the sad news of the sudden passing of such a wonderful, sweet gal. It was such a shock to the community and to all her friends. she will be missed not only at the Corner Store but in the community of Milton, but we all have our special memories of her to hold on to. We are thinking of all of you at this time. and extend our deepest sympathy . to Paula’s family and Brian, we are so sorry to hear of your loss, I didn’t know Paula well, but she was always so friendly when I would go in the store, she had a great personality, I will miss seeing her when I go into the store, our thoughts and prayers are with you ,at this sad time. I Love You so much and you will be in my heart forever.Until the day we meet again ! We were so saddened to hear about Paula’s passing,she will be missed by everyone who knew her, Our thaughts and prayers are with you at this most difficult time. She always filled a room with humor and great fun. She will be greatly missed by all. My family has gotten to know Paula quite well over the last few years as we had moved in next door to the store. Paula got quite close to our hearts as she was easy to get to know. Paula had quite a soft spot for my youngest child, Brogan. He loved to visit her at the store when she was working. He called her the nice one. I really don’t know what to say to all of you but I know she was one of a kind. Her laughter filled the store and my house every time she came over. Our thoughts and prayers are with your family. God has called another Angel home to his open arms.Alex,Maggie, & Liam your mother was a wonderful Mom, Full of laughter & a twinkle in her eye. She will be sadly missed by all.May your memories keep her spirit alive forever. Alex,Brendan sends love & his thoughts are with you,his friend. It was so good to see you when he was home. You are with the angels now and they must have needed you more. Megan i think of you every minute of the day.I’f you need ANYTHING just come and see me. I’m a really good listener…. Love you lots. Janet and Susan I am very sorry for your loss. I will always remember our times together while growing up. Please take care of yourselves and know that many others care. Sincerely wanda horton. We were saddened to hear of Paula’s sudden passing. Our sincere condolences go out to her entire family, friends & Brian. We will never forget her smiling face. Paula was alway full of joy and life. Paula will be missed by many but never forgotten. Our thoughts and prayers are with you all. Janet , Susan , and to all Paula ‘s Family ,,, My thoughts and prayers are with you all at this very difficult time . Losing a love one is one of life most difficult hills to climb ,, just hold all your memories of Paula in your hearts and let God help you heal. She is with her Dad and all her family who are in Heaven now . . You was loved very much here on earth as you will be loved just as much in Heaven,,,, God has called another beautiful Angel Home . So sorry to hear about Paula. Our thoughts and prayers are with you at this time. Janet&family&Brian; So sorry to hear about Paula.My thoughts and prayers go out to you at this difficult time. She will be missed by many, she always had a smile and a friendly word for everybody that stopped at the store where she worked. We always had a chat and a laugh when I went to the store. Hold dear to your memories. sorry to hear of your loss. Our thoughts and prayers are with you at this time. my heart goes out to the family of Paula. She was a wonderful person. Always greet everyone with a smile. She will surely be missed. Megan,we are so sorry to hear of your loss, please know that our thoughts are with you and your family at this sad time. my thoughts and prayers are with you in your time of need. Paula will be greatly missed. God bless you and your family. paula my dear it was a pleasure to work with you for 2 years you were a true friend in my time of need my heart goes out to Brian and your family.You will be missed and never forgotten. We are very saddened to hear about Paula. Our thoughts and prayers are with you all at this difficult time. Paula was such a lovely woman. She could brighten your day just by her smile alone. Sadie just loved going to the store and seeing Paula. I think they bonded over “ice-cream”! She will surely be missed by us all. smile was such a joy to those she met; with our sincere sympathy. Take care one and all. Janet and family – We are really saddened to hear of the passing of your very special daughter and mother. Our thoughts are with you at this very difficult time. Nick and I were saddened to hear of Paula’s passing. She was a very sweet and caring person. It is hard to understand why someone so young and vibrant has to leave us but know in your heats that her spirit will never be far from your sides. I will miss our chats during my visit to the corner store. Alex know you have a true friend in Nick and if you , Megan or Liam need anything we are just a phone call away. I am so sorry to hear about Paula. What a shock. It doesn’t seem right to lose someone so young! My heart goes out to you all -especially Liam. It must be so hard to lose your Mom while you are just a little boy. Remember the good times as they will give you comfort. Janet and family, so sorry to hear about Paula, she was a great girl and could always put a smile on your face.Our hearts go out to you.Remember all the good times and she always be with you. TO PAULA’S FAMILY -MY HEART AND SYMPATHY GOES OUT TO EACH AND EVERYONE OF YOU AT THIS SAD TIME!!! PAULA WILL BE MISSED BY EVERYONE WHO KNEW HER OVER THE YEARS AND HER WINNING SMILE AND LAUGH!!! I am so sorry to hear about the passing of Paula, She will be missed, We had some good talks & laughs at the store . I will miss her alot . My thoughts go out to the family & friends also to Brain. May you rest in Peace Paula.I will miss you at the corner store. My heart breaks to think I will never have another conversation with Paula. I’ve known Paula for years but in the past few years I got to know her much better. I know Paula was bubbly on the outside but there was a different side to her which I related to. She was always helpful to me in times of trouble. I will miss her. To her family and to Brian, take one day at a time, remember the good things, remember the love you shared and cherish it…. Paula was such a wonderful person and true friend. I will always treasure our conversations. She will be missed dearly. My thoughts and prayers are with all of you. I was shocked when i heard of Paula’s passing, i can only imagine what you all must be going through right now. I remember when ever i came to visit Alex, Paula always had a smile and a friendly hello for me. We would often have a chat about anything from life, to whats was she having for supper that night. My thoughts and prayers are with you all in this hard time. As hard as things may seem right now all you can do is take comfort in the fact that she is in a better place. My most sincere condolences to Alex, Meghan, Liam, and Janet. May god be with you all. Remember the best of Paula will always be in your heart and memories….no one can take that. Janet and Family-I am so sorry to hear of the passing of your daughter Paula. Words cannot express the sadness that this ibrings but you are in our thoughts and prayers. I have found memories of our childhoods and so sorry for your pain. I’ve known Paula for many years, we went to High School together and graduated together. I can’t believe she has passed away at such a young age. My sincere sympathy to all of Paula’s family. May you find strength in the days ahead. We all would like to express our deepest sympathy at this time of your loss . She was a wonderful and caring soul and she will be deeply missed by all . We all knew her well and will have all the greatest thoughts to remeber her by . Our thoughts and prayers and hearts go to the family . RIP Paula you are a true angel . and always in your heart, today and forever. There are no words to express how deeply we feel for all of you. We can not even begin to imagine the shock and grief that you are feeling.Paula’s personality was like a bright star that lite up the sky at night. If one was feeling down all you had to do was see her and she’ld have you smiling in no time. She was also a very thoughtful lady. I remember one time she called to tell me she had found a picture of my in-laws on their wedding day and wanted to know if we would like to have it. Always thinking of others, but when I think of Paula the first thought that comes to mind is compassion. She had a heart of gold!! Remember that all the memories you carry in your hearts will always keep her close to you and she will be watching over you from above. I pray that you will feel the Lord’s presence during this difficult time and if there is anything at all that we can do please call. You all will remain in our thoughts and prayers. With our deepest sympathy. God Bless. Janet, Liam and family words cannot described how we are feeling for you. Paula was such a loving caring person with that incredible laugh and smile that will not soon be forgotten. I got to know Paula through our sons and it was always a pleasure talking to her. Makenzie has really enjyed his times spent at your home with Liam and he is very saddened for his friend, Liam know that we are here for you and if you need a friend we will be just a call away. Makenzie sends his love to you and your mom now in heaven.Please know we are thinking of you. With all our love Makenzie and family. I’ve known Paula for a long time. We went to High School together and graduated together. I go up to the store and there be Brian….Paula and I get telling him some of the things we use to do in school and all he would do is shake his head. Janet, Susan, Alex, Megan, Liam and Brian…….she may be gone in body but her spirit will live forever. Keep the memories for they will not fade away. God took her so young but he has another mission for her. So sorry to hear about Paula,are thoughts and prayers are with you. So sorry to read in the Halifax paper of Paula`s death. Such untimely deaths are especially difficult and our hearts go out to you in this time of great loss. Saddened by the news of Paulas passing. She was a wonderful person and friend. Try to be strong and keep each other going. You are all in my thoughts and prayers. I`m so sorry to hear about Paula. I still remember her smile although it`s been at least 25 yrs since I`ve seen her. My condolences to all. Sorry to hear of your loss. Paula was a great person & a friend to many people. She will be missed by everyone that knew her. God has another Angel. Our thoughts & prayer are with you all. So very sorry to hear about Paula. She was a kind person, could always make you smile and usually had a smile on her face too. I will treasure the times we spent together. Our thoughts and prayers are with you all as go through this difficult time. I’m so sorry to hear of Paula’s passing.My heart goes out to her family and friends during this very sad time.She always made me smile and I will cherrish the childhood memories we shared.I feel blessed to have known her.She will be missed by many. I’ve known Paula for many years, we were in the same class and graduated together. Everytime we bumped into one another we would have our chat about school days, our children or our dad’s who left us way to early and how much we missed them. Paula is now with her dad watching over all her family. R.I.P. Paula You are a true angel.